With 26 Pattaya developments either completed or currently under construction, plus several more in the planning stage, leading property developer the Nova Group can rightly claim to be not only a pioneer of the real estate market in this fast growing resort city, but also still remain one of its most dynamic players. The company’s latest project, unofficial word of which spread rapidly on the local real estate grapevine last month, is the Serenity condominium, to be built on a prime spot of land close to Wongamat Beach and neighboring the Nova Group’s flagship development, The Palm. Nova Group President – Rony Fineman. 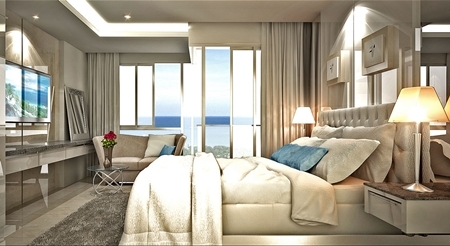 Serenity is in some ways a departure from many of the existing projects on this north Pattaya peninsular as it plans to offer contemporary and stylish residential units at a much lower price-point than any of its neighbouring properties. Unit sizes at Serenity will range from studios starting at 21.3sqm up to 2 bed apartments at 50.6sqm. The building will rise to 8 floors in height and incorporate only 153 units in total. 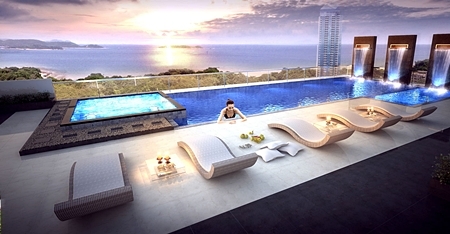 An 18m x 7m rooftop swimming pool will offer fabulous vistas across Pattaya bay to the offshore islands. 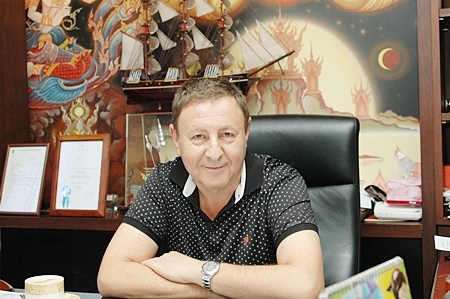 “There’s seems to already be a lot of buzz in town about Serenity without us even officially announcing the project yet, so we are confident that sales wise it will do very well,” said Nova Group President Rony Fineman during an interview with Pattaya Mail. The location close to Wongamat beach is undoubtedly one of Serenity’s major selling points and the area where it will be built would certainly seem to be in keeping with its name – offering a tranquil and peaceful setting yet only minutes away from one of the city’s best beaches and the restaurants and shopping areas of north Pattaya. Amenities at Serenity will include the aforementioned rooftop swimming pool, a gymnasium, underground car parking, garden and courtyard. 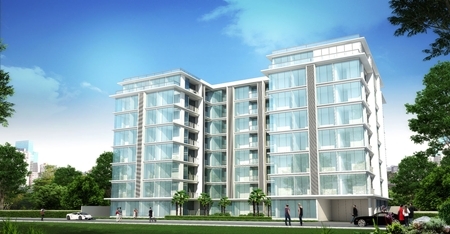 Unit prices will start below 1 million baht and all apartments come inclusive with a furniture package. The smaller apartments are configured in a way that makes joining multiple units together a very viable option. 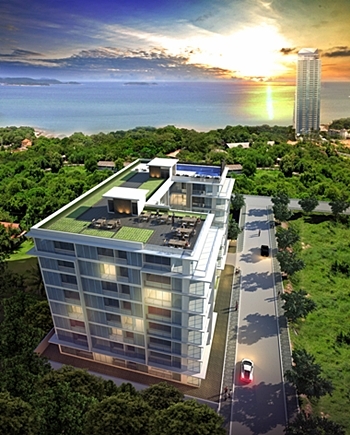 “We are seeing demand from both ends of the market in Pattaya, still at the high end and a lot of increasing demand for more economical units in lower priced developments. We saw little point in building another high-end project on Wongamat though as it wouldn’t offer anything that isn’t available already,” said the Nova President. With only six studios on each floor, Serenity will offer a mixture of unit sizes and floor plans at price-points that should appeal to a large cross section of investors. “Serenity will be a quality development, in a desirable location at a great price,” Mr. Fineman added. 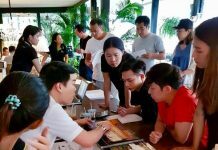 During the interview, the Nova chief was asked about his general overview of the Pattaya property scene and whether he saw any signs that the market might be close to reaching its saturation point. These claims would seem to be borne out by the company’s sales figures for its ongoing projects. External building work on The Cliff in south Pattaya is now complete and 90% of the units have been sold with just 40 remaining. The luxury The Palm development is already 82% sold out with construction not due to be completed until 2015, while similarly the Amari Residences on Pratamnak Hill is 75% sold out (55% of private units) with the piling work not due to be finished until the end of July. Other current projects such as Nova Ocean View condominium on Pratamnak Soi 6 and Novana Residence have also sold extremely well and are close to being fully reserved. As a final point, and being a hotelier first and foremost, Mr. Fineman touched on some of the current and future hotel projects that fall under the Nova Group’s umbrella. 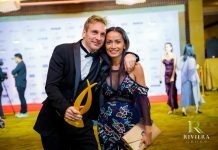 It certainly seems to be an interesting and exciting time for the Nova Group, who look set to remain one of the city’s most active developers and continue at the forefront of the real estate market in Pattaya. For more information, go to www.nova-thailand.com.